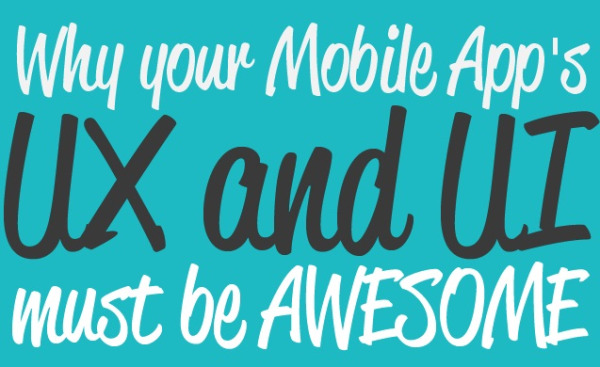 Why your mobile app UI/UX must be awesome! Designing for tablets or mobile devices is very different from other types of design such as posters, cartoon comics, a magazine or even websites. Start with creating a user journey map. Analyze the journey map and find places where including voice as a channel would benefit the UX. Nowadays, people are very used to smartphones and are very hard to surprise. Therefore, designers face bigger challenges for building innovative, beautiful and unique interfaces. People want to keep the apps they really use or love, otherwise the applications are deleted. Even worse, users could post a bad review and affect that app's performance in the stores. I believe UX/UI Designers have a very important role in the mobile application development process. It's their responsibility to make the app look visually appealing and user-friendly. The first challenge is to stand out in digital product design from the entire amount of applications that a user can find in the app stores. Since the first iPhone was born, hundreds of thousands of applications have been released for several platforms. This world of apps is constantly growing and now it is transported to different stores and devices like Play store of Android, Ovi Store, Windows, etc. However, in a market filled with thousands of games, tools, education apps and more, how can your application stand out? Well, you could think of clever names for an app but at the end the main thing to keep in mind is to provide a good experience for the user and choose a good taste in design. In the past, around 20% of a project's time was spent on the design phase. Pioneers, like Apple, ensure that the “design phase of their projects occupies no less than 60% of a project’s time”, which underscores the importance of this phase. Actually, many companies are following their design phase model. Users are your first competitor, jury and executioner. It is your job as a designer to give them a good experience with intuitive interactions and natural flows. Practice, observation, analysis as well as seeing new and different apps every day will help you improve as a User Experience and User Interface Designer. Ana Karen Ramirez is an Animation & Digital Art Designer who has worked in User Experience and User Interface design for more than 3 years. She worked at iTexico as a UX/UI Designer. ← Build your Firewall: Ensure Productivity, Prevent Developer Burnout!